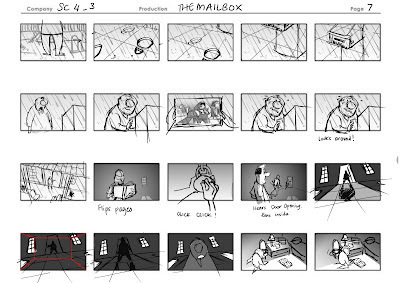 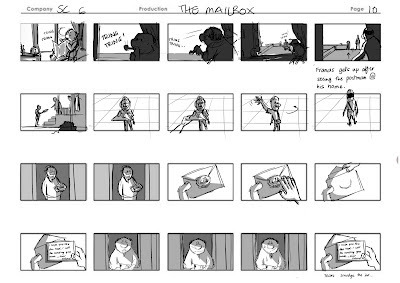 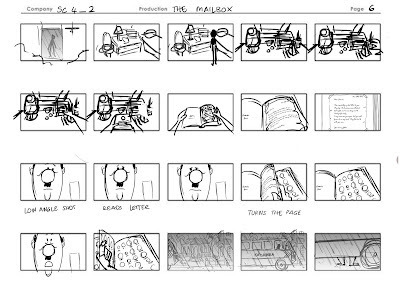 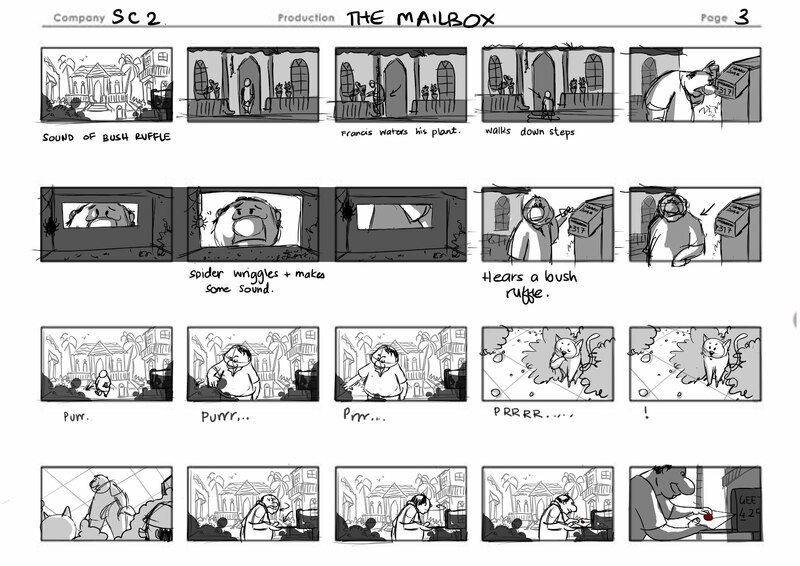 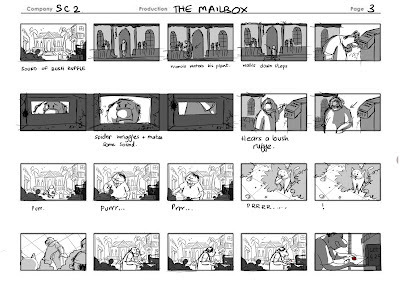 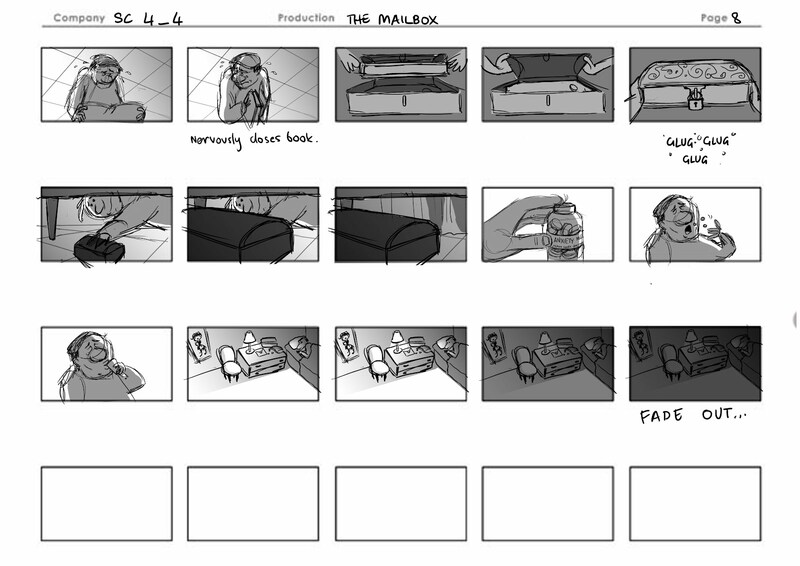 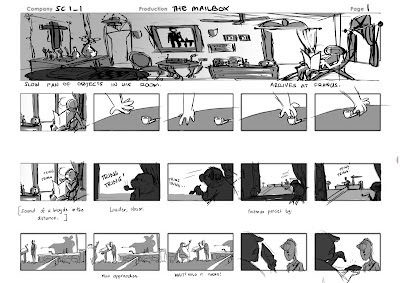 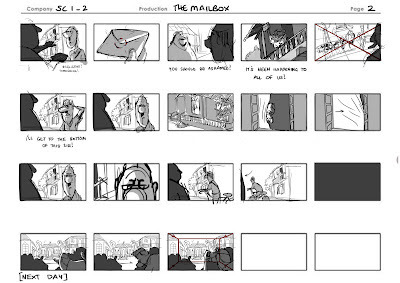 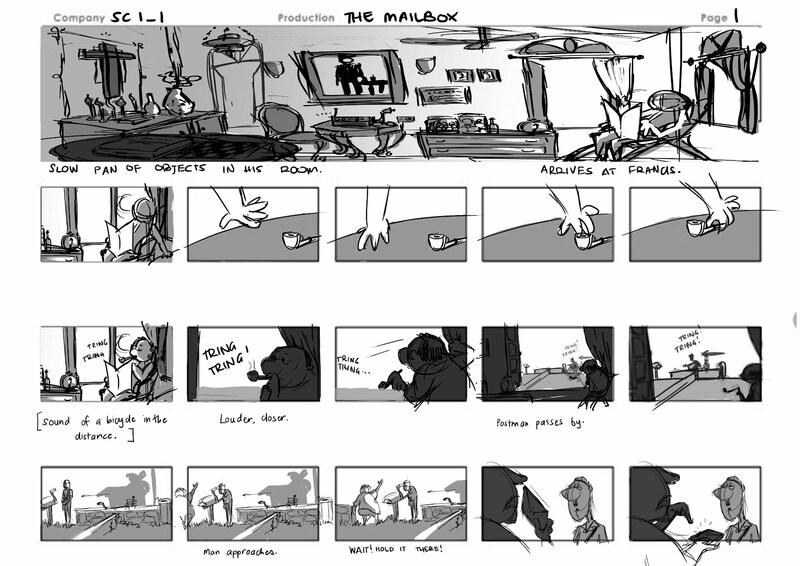 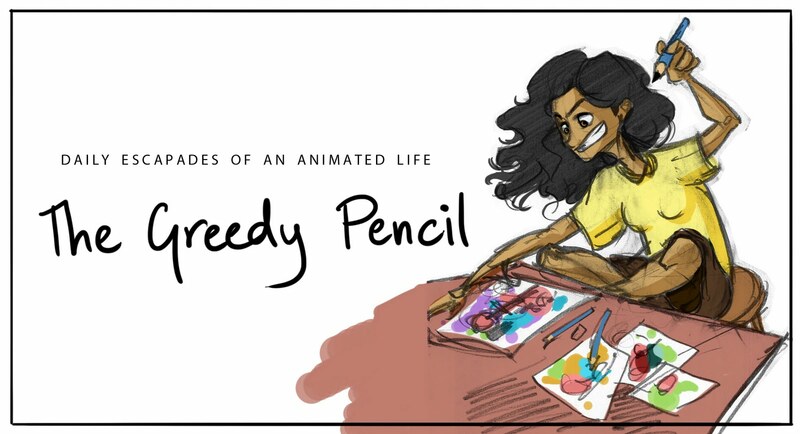 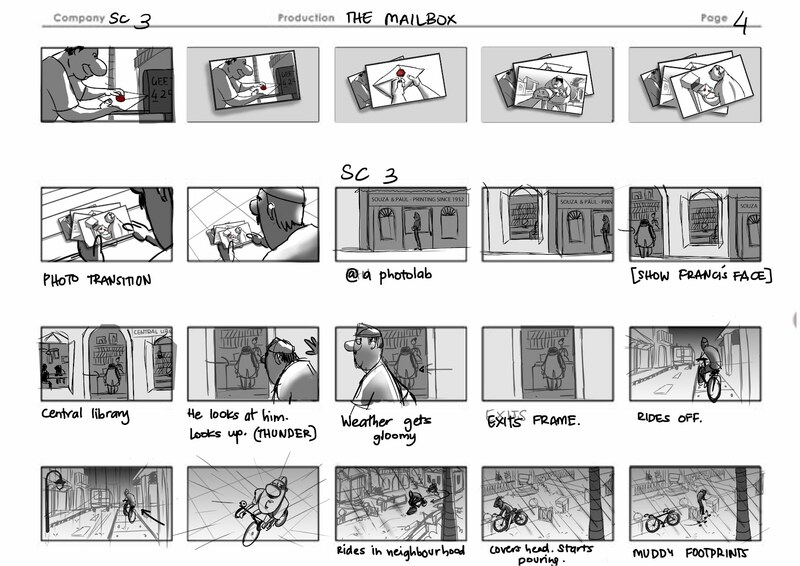 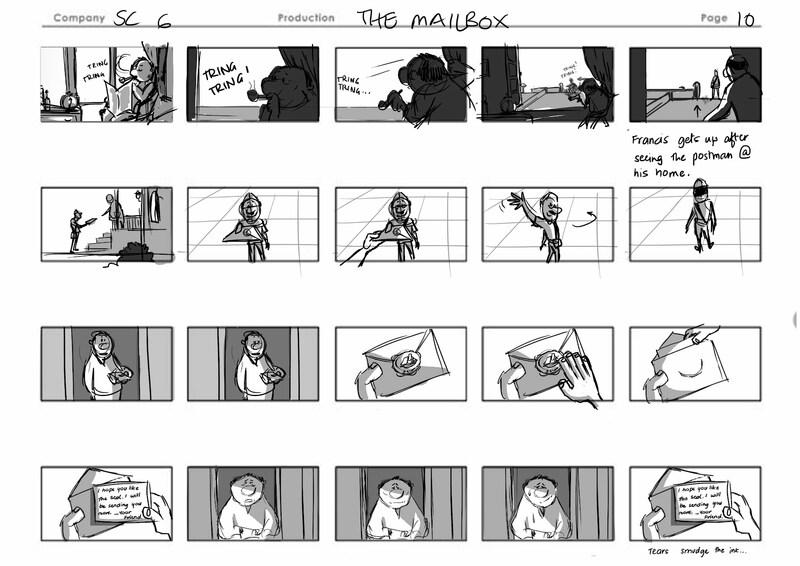 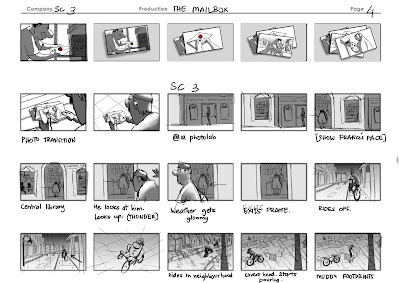 The final storyboard. 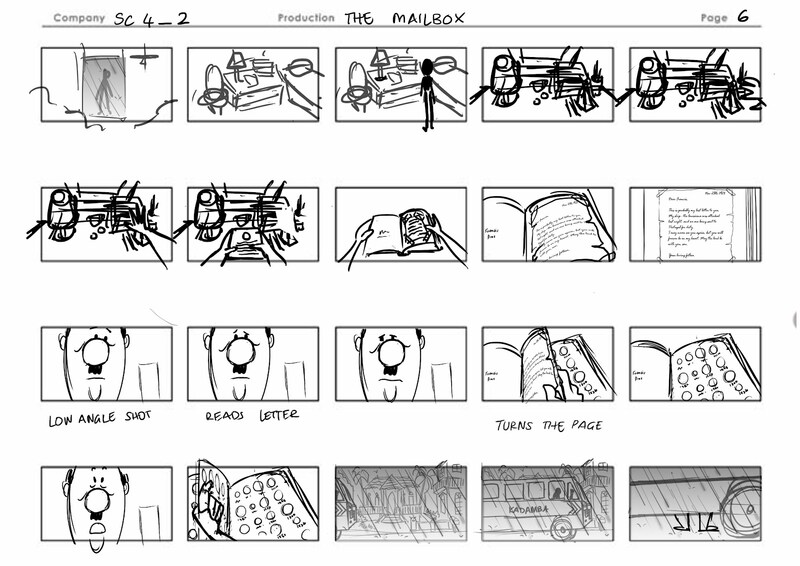 I have no idea how well it communicates. In the animatic the dialogue is missing so its harder to follow, but here I've added the important stuff. 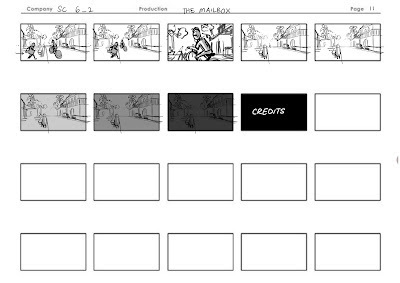 This was more difficult than a thought. 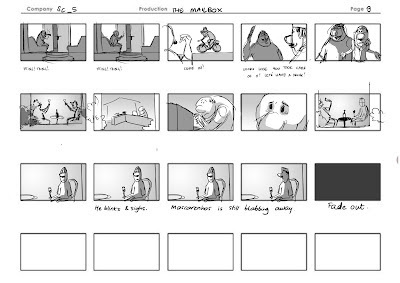 I thought I could finish it in 2 days but I took 6, and figured out so many things on the way - especially creating the world of the film - where he lives, the rooms, the continuity, etc. 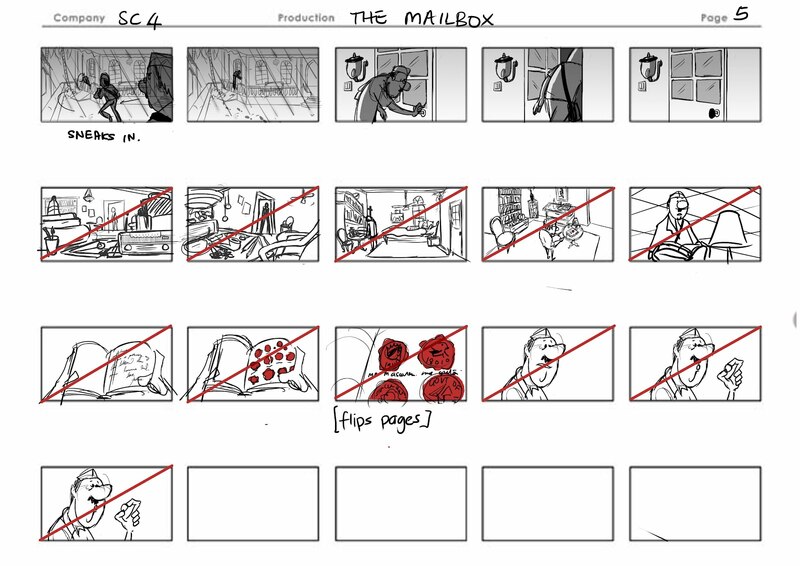 These are great boards, really nice style. 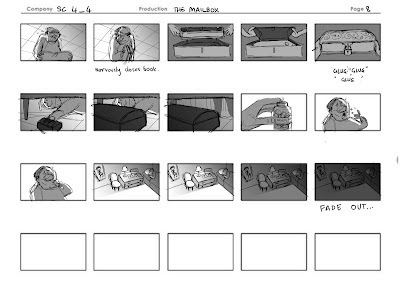 Can't wait to see it develop.